As previously announced, letlive. will release a new album ‘If I’m the Devil…‘ on June 10. Today, the Los Angeles art-punk band has shared details on their headlining tour with Seahaven, Silver Snakes, and Night Verses joining as support. 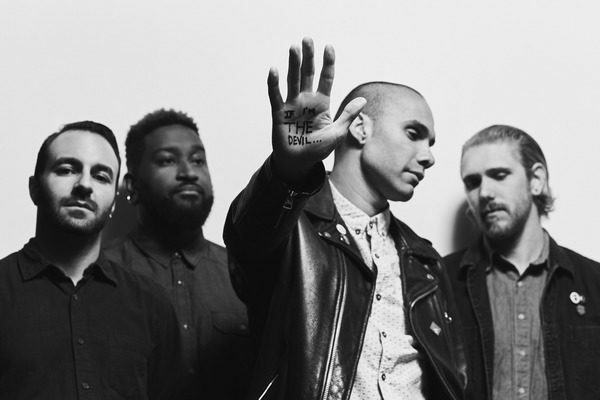 The tour begins in letlive.’s hometown of Los Angeles on June 14 at The El Rey and concludes in Santa Ana, California on July 31. Letlive. fans will be have the opportunity to pre-order tickets via a newly launched Soul Punx Fan club on April 27 at https://ticket.artistarena.com/events/22704. “We truly feel that this is an incredibly important moment for letlive.. For those of you that know what the idea of ll. stands for then you know that previous statement includes you. This is an important time for US. That being said- let’s celebrate these exciting times at one (or multiple) of these headlining performances this summer. ‘If I’m the Devil…‘ is the follow up to the band’s beloved 2013 release The Blackest Beautiful. The time spent between that and 2016 are defined by the band’s engagement with the griot lineage of Saul Williams and Ta-Nehisi Coates, the deaths of Eric Garner and Mike Brown, the social pathologies that led to Ferguson, Missouri and divisive redlining policies that are functionally domestic terrorism. And with those ideas letlive. is a band that aims to bring political messages into rock music again. Should ‘If I’m the Devil…‘ necessitate a genre, one could posit revolutionary counterculture music – a punk rock Run the Jewels, a more emotional Rage Against the Machine, and Public Enemy with more inclusive politics. Pre-orders for ‘If I’m the Devil…’ are available at https://letlive.lnk.to/iitd. Next Story → CMA Fest Announces Gildian Broadway Hard Rock Stage Lineup! 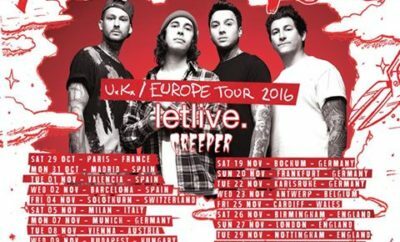 Pierce The Veil Announce UK/European Tour with letlive. and Creeper! Nathan Sykes Releases “Over And Over Again” Featuring Ariana Grande! Paramore Replies to Justin Bieber!